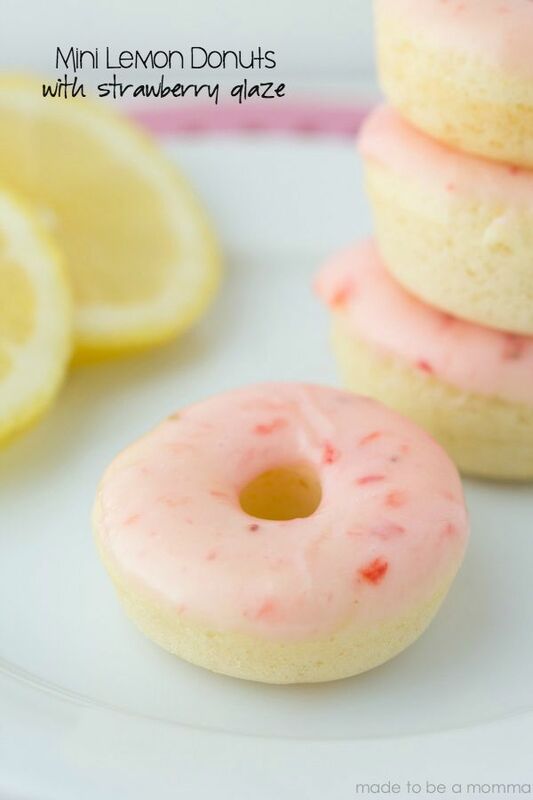 These mini lemon donuts are made from a lemon cake mix which makes preparation for these donuts a breeze! I pureed some fresh strawberries for the glaze and the flavor is out of this world! Preheat oven to 350 degrees and grease a mini donut pan. In a large bowl whisk together cake mix, egg, water, and oil until well combined. Transfer mixture to a large resealable bag or cake decorating bag. Squeeze the batter into the baking pan filling each donut hole ⅔ full. Bake for 12-14 minutes until the edges barely start to brown. Remove from oven and allow to cool in the pan for 5-10 minutes. 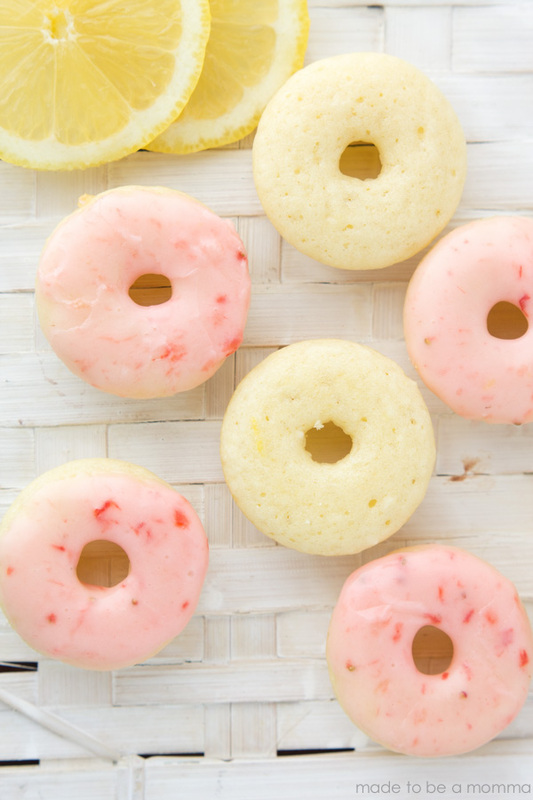 Allow donuts to cool completely before glazing them. To prepare the glaze whisk together all ingredients, adding more sugar or milk until desired consistency is met. Dip donuts into the glaze, allow to cool for a few minutes so the glaze will set. Dip them a second time if needed. 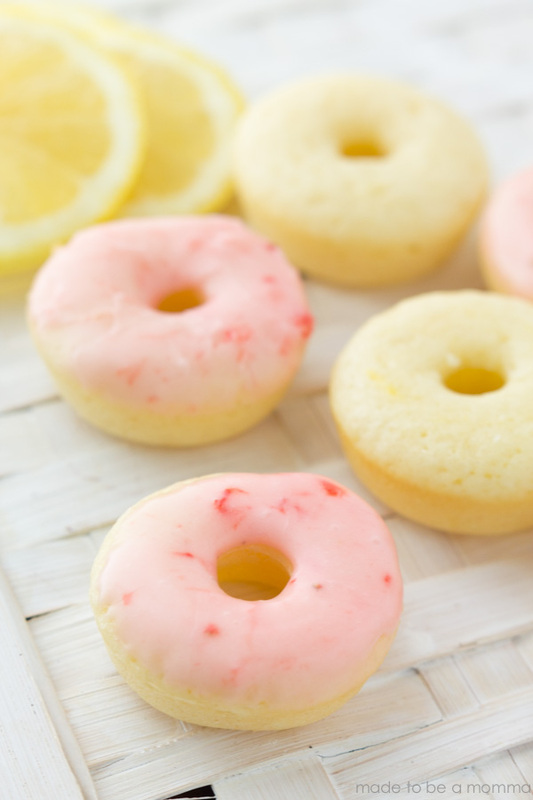 These mini lemon donuts are perfect for little fingers! My boys LOVED them!